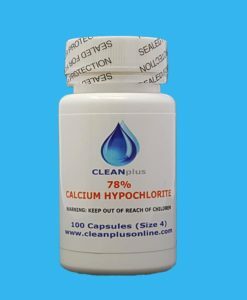 WPS2 78% Calcium Hypochlorite ,size 4 Capsules 100 count -NOW RECOMMENDED !! What is the NEW WPS2? The new WPS2 simply is the best WPS2 in the World. The New WPS2 has the Highest Available Calcium Hypochlorite at a High 78%! Also, the new WPS2 gives you 100 size 4 Capsules which is less than half the size of a size 0 capsule! The WPS2 is in size 4 capsules. One bottle contains 100 pcs of WPS2 in gelatin capsules. The capsules are smaller than the ones that are recommended by its founder, but they are a lot easier to use. When mixed with water, WPS2 is Calcium Hypochlorite whichforms the chemical called Hypochlorous Acid. Hypochlorous Acid is an Oxidizer just like WPS or CDS. 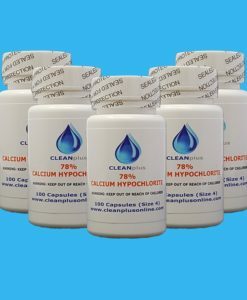 However Hypochlorous Acid works a little different.Hypochlorous Acid (WPS+Water) destroys Pathogens and other Microorganisms. WPS oxidizes the pathogens directly by pulling away the electrons that hold their molecules together. WPS2 acts in a different way, it destroys microorganisms by carrying oxygen to the microorganism and then oxygen destroys the organism. The oxygen pulls the electrons off the Pathogen (bad microorganism) that holds it together resulting in the destruction of the Pathogen aka Microorganism.The Oxygen released by the Hypochlorous Acid is known as Nascent Oxygen.That means it is much more powerful than normal oxygen, but only for a short period of time, in the case of destroying microorganisms – it is plenty of time.The Formula of Hypochlorous Acid is HOCI. The HOCI gets near a pathogen and pulls off a single electron. This electron comes over to the HOCI and destroys it, releasing the oxygen. The oxygen then destroys the molecule in the pathogen.Hypochloric Acid (WPS2+Water) acts as a carrier. It carries oxygen to places natural oxygen cannot travel to when traveling as oxygen and not Hypochloric Acid. No Pathogen known to man has ever built a resistance to it. Simply once meeting WPS2, the Pathogen or Microorganism simply gets destroyed.When choosing a WPS2 you must look at the % of Calcium Hypochlorite. The Higher the % simply means the WPS2 is more pure as well as stronger which simply means it will destroy the Pathogens in a much more efficient manner without other inert ingredients getting in the way or slowing the process. Nothing withstands WPS2 78%. The Contents of only 1 WPS2 Pro78% will treat up to 25 litres of water which is basically 6.5 gallons of water for just 1 capsule. The Contents of only 1 bottle will treat 2500 litres. This product is sold and intended to be used as a solvent only and the choice of using it in other applications is the sole responsibility of the user. This product is not marketed for internal use. May cause skin irritation. Avoid contact with eyes, skin, clothing. Wash thoroughly after handling. In case of contact, immediately flush eyes with water. Call a physician. Keep out of reach of children. If you are pregnant or nursing DO NOT use DMSO. Stop use if an allergic reaction occurs and consult your healthcare professional. These statements have not been evaluated by the Food and Drug Administration. 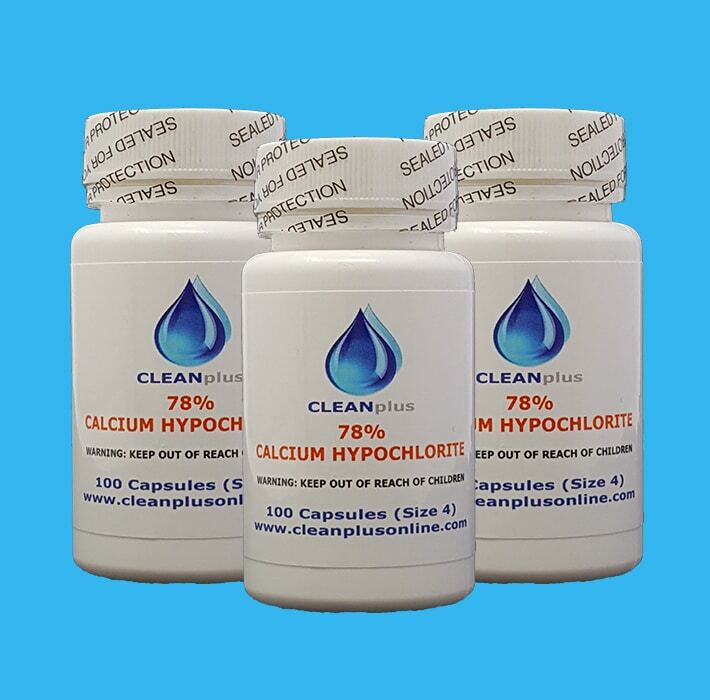 Clean Plus Inc is not responsible for any consequences or damages resulting in misuse of this product. We do not offer, nor do we claim to offer to cure, prevent, diagnose, or treat any disease or condition. Only a Licensed Doctor is qualified to do this. Please consult your physician before using this product. FDA Information on DMSO See FDA warning.